Be still my heart as I enter Remeth England to settle in with some hot cocoa by the fire on a cold rainy night. To a land so beautiful with majestic blue waters and sun filled skies so bright to grass so heavenly green. Only to meet up with a handsome young fellow, Patrick, who is from NYC looking to find himself before heading back to take over his fathers company. As I travel with him through Remeth, we find beauty in the land and seas. As Patrick is finding his way to what God has called him to do, he takes to helping his friend at the local rescue center of helping little children. There he meets a beautiful woman, Amelia. Oh how his heart soars to the skies when Amelia is around. Not shy in the least, Patrick makes his way over to ask Amelia out and immediately takes over her heart. As they both have one major thing in common, looking to find themselves and what God's true calling is for them, they spend a lot of time together. But there is a problem, Amelia has a secret she cannot find herself to admit to Patrick. 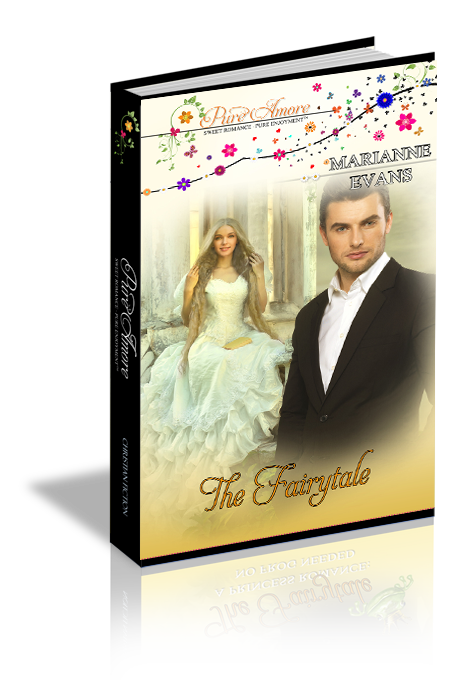 Oh my, the story unfolds with such an unexpected turn of events that will blow you away, just like all fairytales do! As Amelia struggles with this secret and admitting to herself it must be told, Marianne allows us to explore more of Remeth, England in the way of Royalty. Yes, we meet a Royal family! Does the family play a part in Amelia's secret? Does this secret destroy all her and Patrick have become? Join me in reading this romantic, heartfelt story taken place in one of the most beautiful spots of the country. You will find yourself becoming great friends with Patrick, Amelia and maybe even the Royal family! Get your copy today and Happy Reading!!! "I received a complimentary copy of this book from the publisher. The review is my honest opinion."